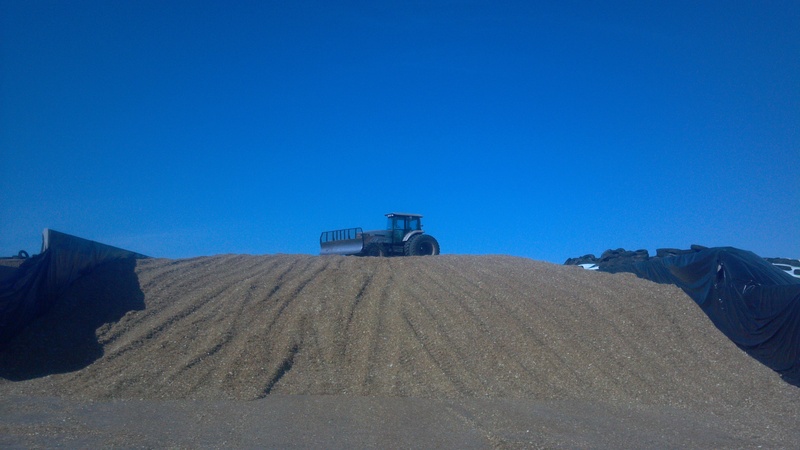 Been a busy couple of weeks chopping corn. 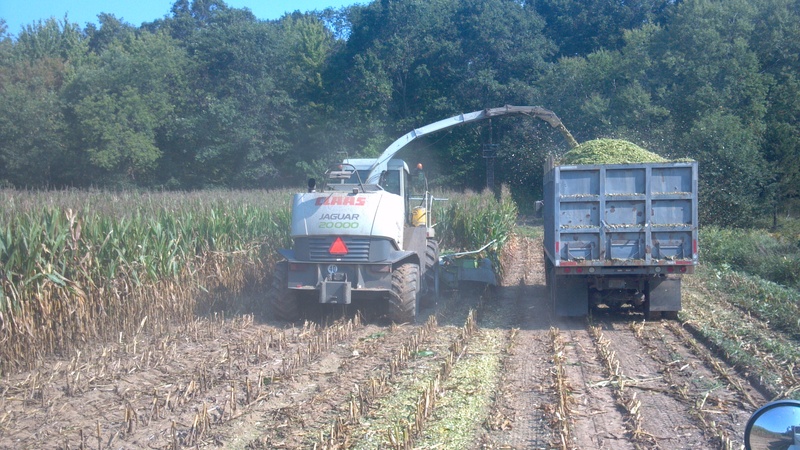 Because of the drought we ended up chopping about 150 acres of corn that would have normally been grain corn, we will have chopped about 310 acres by the time we are done. So we have been busy! Still have a few acres to go, probably 60 or so we will finish this week. 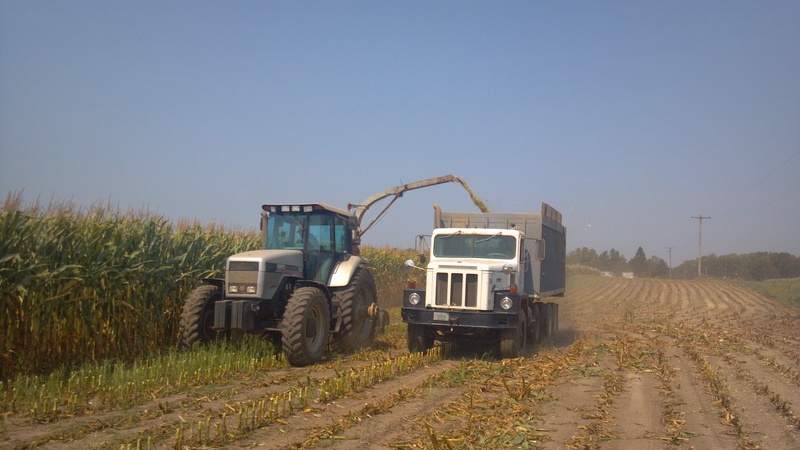 Since we chopped quite a bit more corn then we had planned on, we hired a custom harvester to open up some of the fields that hadn’t been planted for chopping. (Since we chop with a pull type, we plant the fields that we plan on chopping with breaks in them to avoid having to run any corn down.) Sure was nice having a self propelled, filled the trucks in a hurry! This is how we chopped most of our corn. It is a little slow going, but we manage. New toy! 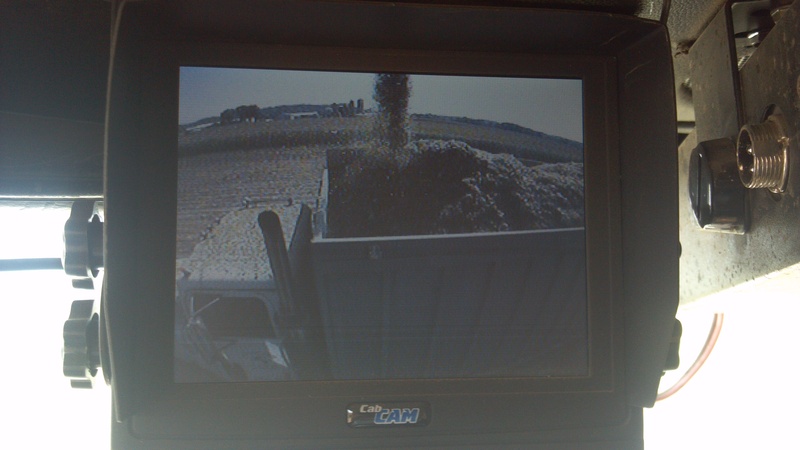 We mounted a camera on the spout of the chopper, and wireless monitors in each of the trucks (plus in the tractor) this allows the truck driver to see what is happening, and move around to fill the truck completely full. 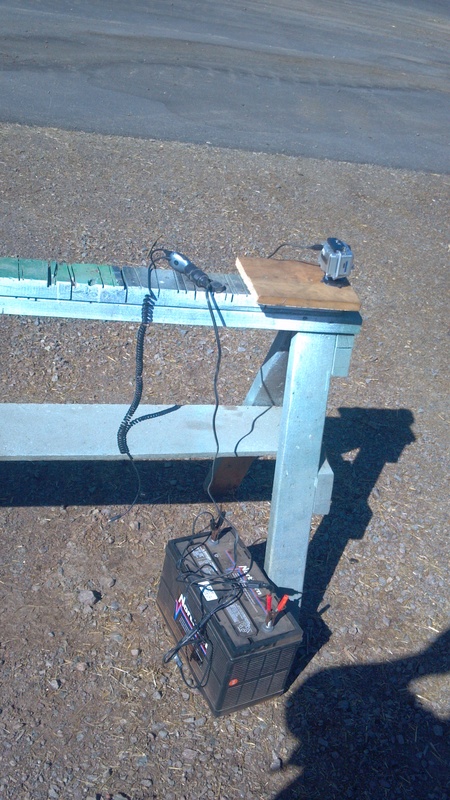 Also keeps the chopper driver from having to turn all the way around to see the truck. This is the view the truck driver gets of himself as he is getting filled. Load being dumped in the bunker. 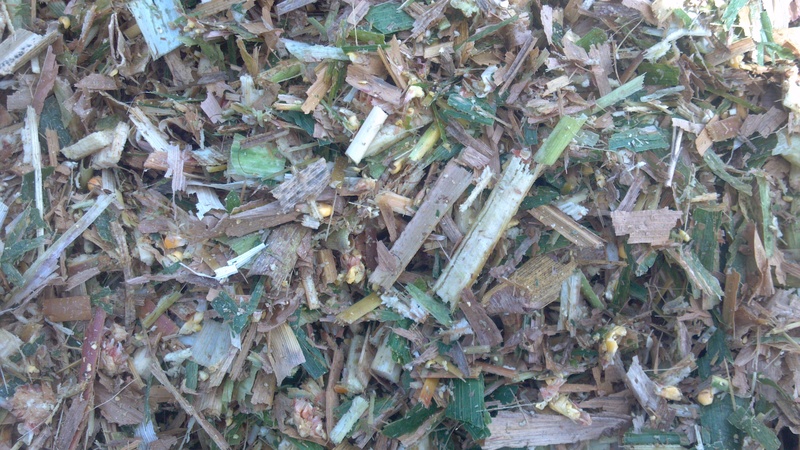 Close up of the corn silage. On a good year there would be more kernels of corn in it then this has! You probably can’t see it in this picture, but we have a roller mill in the chopper, our goal is to break every kernel of corn. 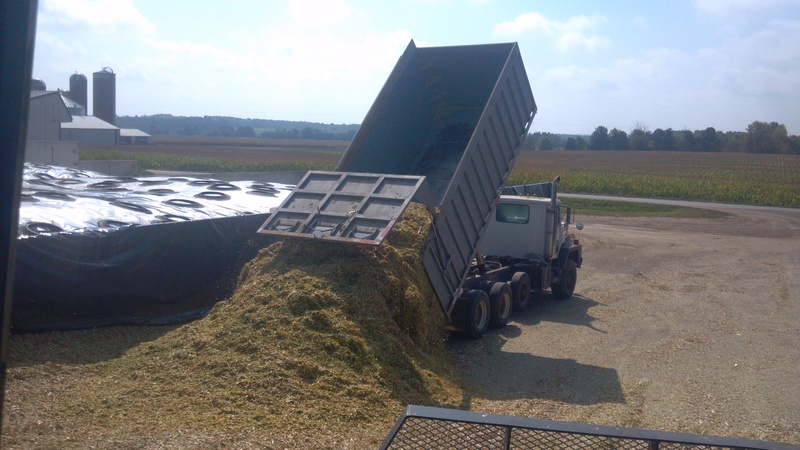 This helps the fermentation process in the silo, plus the cow’s rumen to break down the corn kernel into usable energy. Just for fun I set up a GoPro Camera hooked to a tractor battery and had it take a picture every 30 seconds while we were filling the bunker. I am going to stitch them together into a time lapse video, so hopefully sometime soon I will get the video put together. This entry was posted in Agronomy, General Information, Machinery and tagged agco, agriculture, agronomy, Animals, bunker silo, corn, cows, crops, cute farm kids, dairy farm, dairy farming, dairy farming today, factory farming, family farm, family farming, farm, farmer, farmers, farming, food production, gopro, John Deere, machinery, Modern Agricuture, modern farming, organic farming, photogrophy, production agriculture, sustainable agriculture, time lapse photogrophy, tractors, Wisconsin dairy farming. Bookmark the permalink. 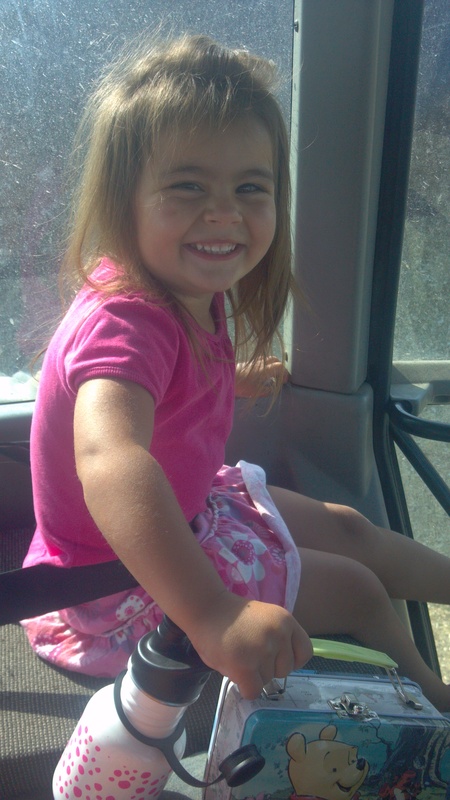 Such a sweet pic of Z! 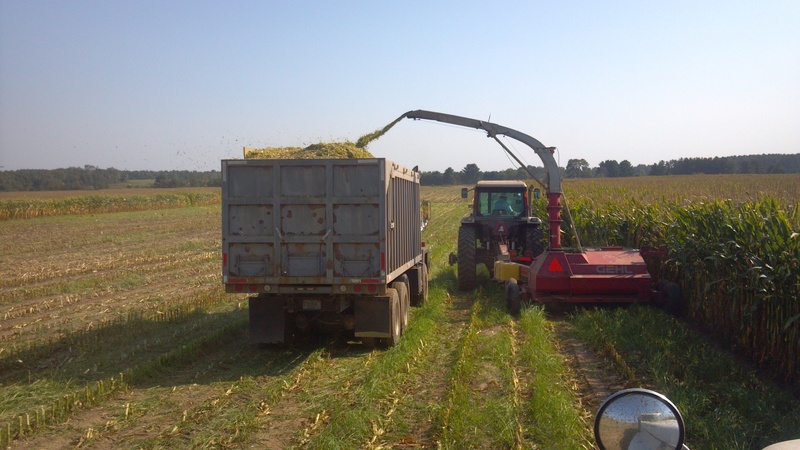 And I could just smell the silage- brings back great fall memories!! nice posts…hadn’t looked as soon as I should have…love the one of z, too!